The history of fishing goes back thousands of years, yet many people today have never fished, or have children who want to fish and don't know how to teach them. While fishing can be as basic as putting a worm on a hook at the end of some fishing line, proper instruction in the use of modern equipment, as well as basic safety, can greatly enhance the enjoyment of this sport. 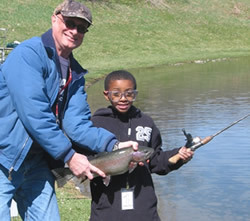 The NJ Division of Fish and Wildlife has several programs to help the beginner or parent wishing to teach their children how to fish. 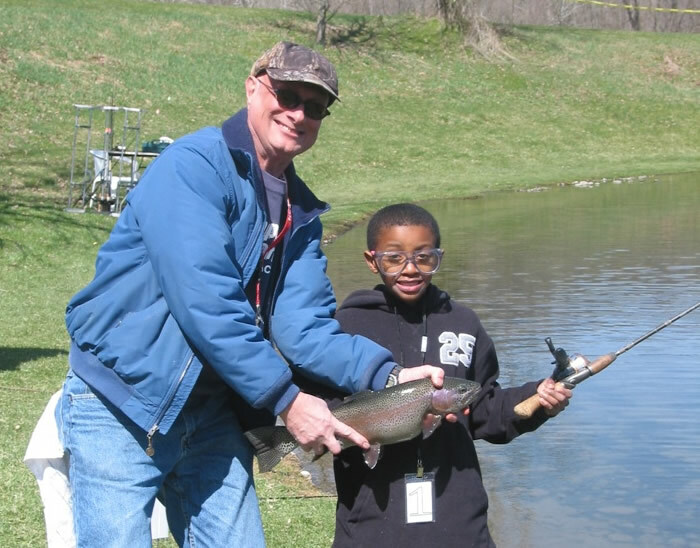 Public and organized group classes at the Pequest Trout Hatchery and Natural Resource Education Center special events are available to introduce and reinforce basic fishing skills to adults and children. Below are links to pages with information on fishing to assist the entry-level as well as intermediate angler.